How Cloud Computing Challenge Networks with virtually unlimited storage and computing capacity, reduced cost and maximum flexibility and massive data traffic – With the growth of the cloud, we will also have to adjust to a massive increase of the traffic. The global traffic increased enormously. To give just one example : According to Akamai, the number of IP addresses that have joined the distributed computing platform of cloud service specialists within one year has increased by 20 percent to 533 million. Parallel to this development, the number of broadband users that have a 5 to 10Mbps connection on average, which an accesses data rate of 10 Mbit / s. Here, too, the numbers speak of the volumes : the digital universe will expand its dimensions over the next decade from 1.2 to 35 zettabytes. Cloud-based data will no doubt have a significant interest in this high-growth development. The infrastructure of the future will be characterized by a continuous increase in IP-enabled, smart terminals, a shift from storage resources in cloud environments, but mainly through better networking. For companies and providers will have to find ways to ensure the search for and access to Zettabytes data. Banks and financial institutions are at the forefront when it comes to the implementation of cloud computing philosophy. The motivation for innovation in the financial sector is clear : A massive amount of data, extensive reporting capabilities, thousands of traffic from online customers and the continuous updating of content and information which require scalable, extensible and flexible resources. It is therefore of little surprise that banks are getting more and more into pure IT and infrastructure organizations – a trend that not only demands high bandwidth and low latency, but also strong load balancing solutions and a flexible load distribution. 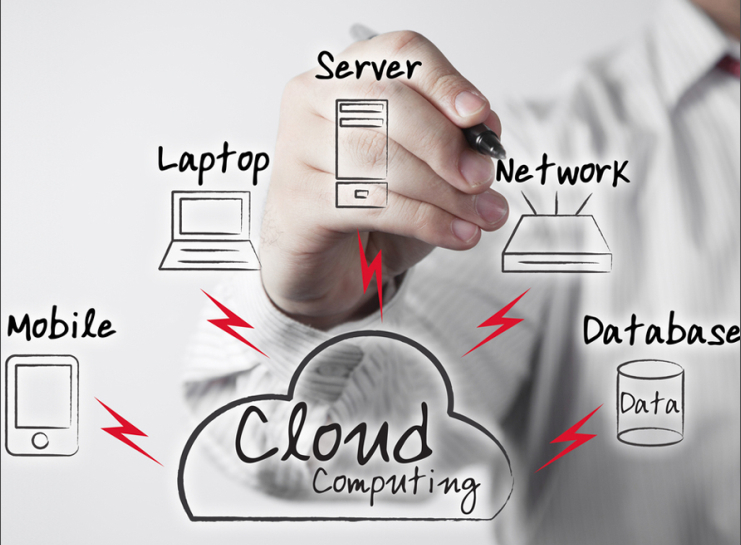 These are needs that can be met with cloud-based approaches. With all the innovation, it is a fundamental misunderstanding to consider the cloud as a closed entity : THE cloud there is not that plain and simple. Therefore, it is of central importance, public cloud environments and so-called community clouds and the turn to distinguish between private and so outwardly strongly defined cloud computing environments. Unlike their big brothers that develop with tremendous momentum on the WWW, a private cloud is not only clearly controllable, but also provides a data security and quality with many advantages: aspects for the companies and public institutions to meet compliance – and a safety regulations in general those are indispensable. Private cloud computing describes inter-site, virtualized infrastructures, which are not operated exclusively by a company. The transition between the private and public cloud highlight community clouds, which are shared by a number of organizations to achieve common interests. Regardless of their condition – whether public or as a private enterprise infrastructure – the adoption of cloud technologies will need to be considered significant from three different perspectives: from the perspective of the private end-users, from the perspective of the professional user and from Position of the IT manager. An on-demand provisioning of resources also means that the bandwidth has to adapt the appropriate conditions quickly, flexibly and reliably. But how can our current network of cloud dynamics can meet the massive increase in traffic ? And how can the return on investment needed to ensured ? The fact is that the future enormous mountains of data to be circulated : Moving a single virtual server also means the displacement of a complete RAM Images from point A to point B. If a complete cluster between two cloud infrastructures reciprocated occurs rapidly, a data stream , the lift is no longer with today’s broadband capacity of 10 gigabits. A possible solution lies in the thernet. Thanks to its flexibility and its high degree of standardization which is waiting on this technique not only with the characteristics of a proven plug-and-play infrastructure, but also with a moderate cost for the user. Cite this article as: Abhishek Ghosh, "How Cloud Computing Challenge The Networks," in The Customize Windows, January 3, 2013, April 21, 2019, https://thecustomizewindows.com/2013/01/how-cloud-computing-challenge-the-networks/.